I'm reallly desperate currently... Despite all the well made tutorials how to make Sims 2 work on Windows 10 nothing really works for me! Here, really quick my situation: I got the Ultimate Collection on Origin and get always the DirectX 9.0 compatibility error notification if I don't play it windowed! And if I do, I can use anything to enhance the resolution but it won't show up greater as the 600 x 800 size (not sure about the number xD But the smallest possible one, youg might know what I mean) and I even applied already the 4GB Patch and followed all the instructions from "The Jessa Channel!" in the long video. So my questions are: is there anyway to fix this DirectX 9.0 compatibility problem and what am I supposed to do, so that I can enjoy my Sims 2 with high resolution in full screen? It seems the game is recognising your card ok, please post a copy of your graphic rules file. It's done! I even put the one with the video cards there! I am assuming that your UC is the latest from EA (i.e. the one that is patched for windows 10, and no securerom). 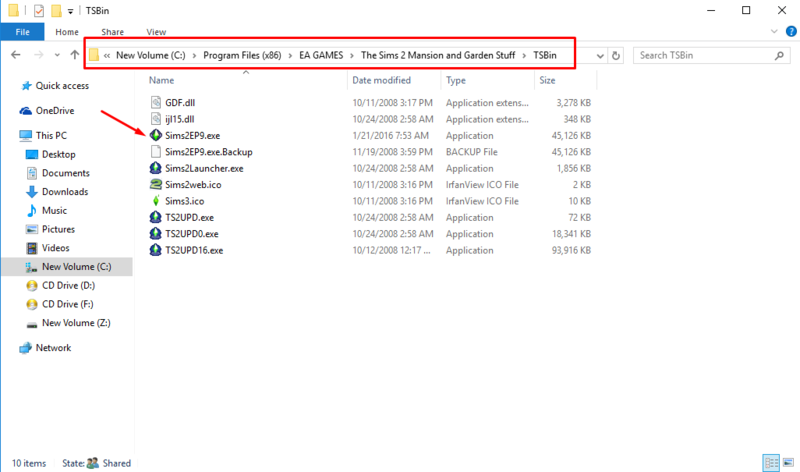 Are you clicking on the EXE from its place in the program files? Is that the official exe? You could try replacing it with a cracked exe (which I cannot provide). Yes, that is effectively the same place. You run it as admin of course?